Learn more about our values and passion. Celebrating over 45 years of industry leadership. Townwood Homes builds modern luxury homes in communities throughout the Greater Toronto Area. Our homes are built using some of the most durable and sought-after materials available to the industry. These homes are built with durability, longevity, and style in mind. Our clients can feel confident knowing they are making a sound investment in a home that will offer them functionality, accessibility, end endless enjoyment for many, many years to come. Every available Townwood Homes neighbourhood offers an elegant quality of living, along with value in an amenity-rich location. Our new, existing, and in-progress communities epitomize the tradition of excellence that was established by the founder and president, Tony Guglietti. In 1974, Guglietti had a vision. His passion and vision provided him with the motivation to develop innovative homes that address the ever-changing needs of homeowners. The ability to predict and gauge the direction of the market is the basis for the company’s ongoing success. This remains true today, as the next generation steps in to carry the company forward. Over the past 45 years, Townwood Homes has built more than 10,000 new homes. Each community sets the standard for quality and innovation throughout neighbourhoods in the GTA. 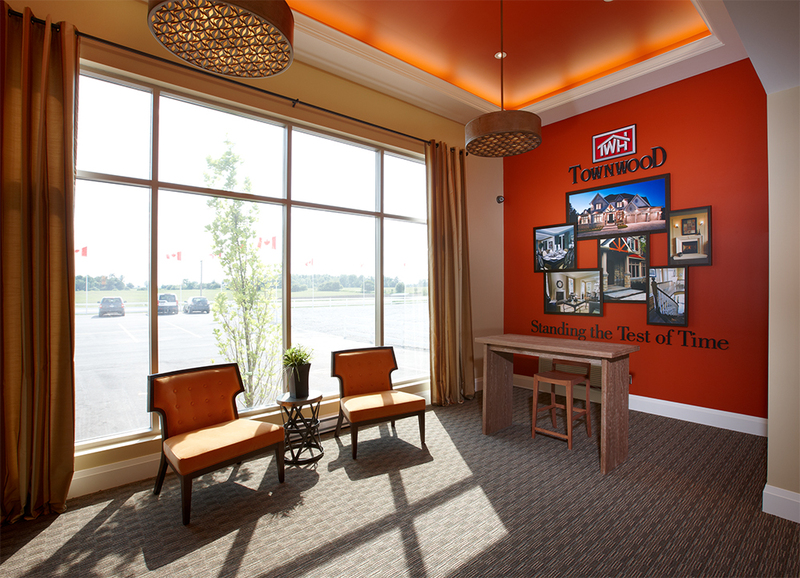 In fact, Townwood Homes has pioneered many firsts in Southern Ontario. For example, Townwood Homes was the first production new home builder in Ontario to include garage heat sensors and residential sprinkler systems as standard safety features. This innovation took place at the prestigious Mackenzie Ridge Terraces in Maple. Since the 1970’s, Townwood Homes has incorporated link designs, which are semis joined at the ground level. Marley Tile Roofs came to the upscale communities of Woodbridge and Mississauga, which was Ontario’s first residential car hoist that increased the capacity of a two-car garage. This was the beginning for a central design studio for low-rise housing and Quattroplex Townhomes, which offer an affordable first-time homebuyer a design they love that is financially comfortable. This innovation combined features and benefits from both the duplex and bungalow, resulting in a truly advanced modern home. The homebuilding professionals at Townwood Homes are dedicated to creating a brighter future for communities in the GTA. We want our clients to feel a sense of pride and confidence when it comes to their home. That’s exactly why we work so closely with our clients, to ensure that we find the best possible solution for them. From traditional homes to modern ones, townhomes to detached, and all of the details in between. No matter how minor or major the task at hand might be, our experienced team of specialists will be with you every step of the way. We won’t rest until you and your family are happily situated in your beautiful new Townwood home. Feel free to contact us today and one of our friendly and knowledgeable experts will be in touch with you. Regardless if you’re looking for houses for sale in the Brampton and Vaughan, or if you would simply like to learn more about our luxury communities in the Greater Toronto Area, we are here to help. Truly a sight to be seen. You’ve heard a lot about the quality and luxury featured in the developments within our Townwood Communities. You can browse through our new and existing communities to get a better idea of the passion and vision behind Townwood Homes. We promise, you’re going to like what you see. Rear-Lane Freehold Towns from 2,253 sq. ft.